The Bell Sidetrack is a helmet that I kept seeing everywhere we went: at the pumptrack in each city we visited, on the kid that sped past us on the bike path, perched on a pair of handlebars outside the grocery store. Indeed, it’s one of the more popular kids bike helmets out there, and for one very obvious reason: the Bell Sidetrack LOOKS COOL. Clearly, we needed to test it out. 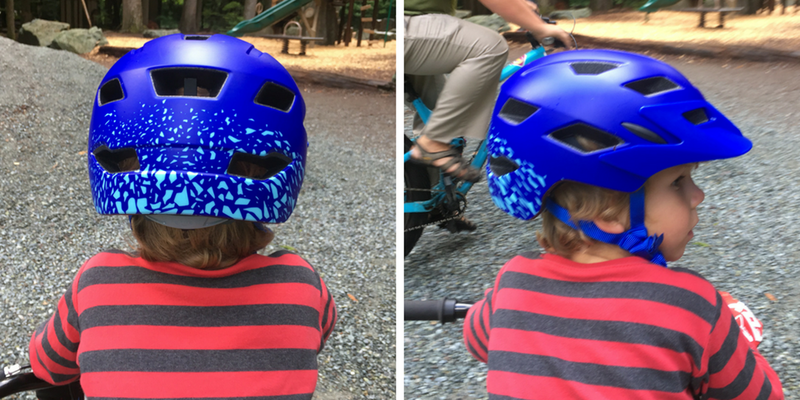 Thanks to the visor and enduro-style profile, the Bell Sidetrack is a kids helmet that looks at home on the mountain bike trails but works equally well on the school commute. It’s also safe. The helmet can be bought in both MIPS and non-MIPS versions (more on what that means below), and offers good side and rear of head coverage. As already mentioned, the Bell Sidetrack just LOOKS good. 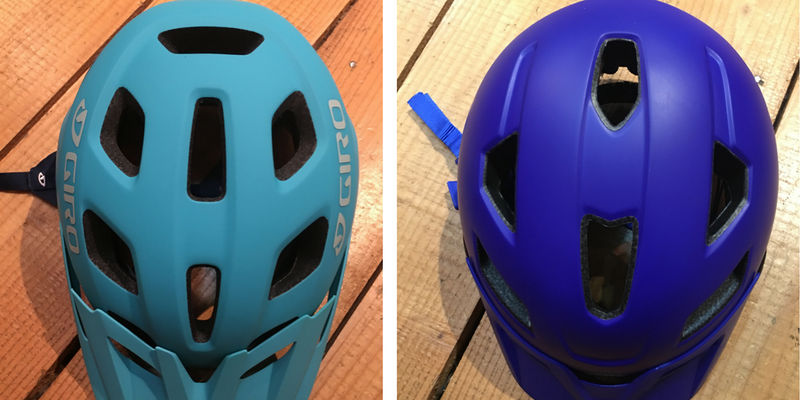 For kids with mountain biking parents, this helmet looks a lot like a grown-up enduro lid. Even for kids who don’t mountain bike, the Sidetrack looks cool at the skate park or on the school playground. It comes in a variety of bright gender-neutral designs. Like all bike helmets sold in the U.S. the Bell Sidetrack meets all CPSC certification requirements. It also goes a step further by offering MIPS technology and rather good side and rear coverage. (That said, the coverage is not as good as the Woom helmet). The helmet is offered in both MIPS and non-MIPS versions, so you can decide on whether that is something that is important to you. If you’re not sure what MIPS is, read our article on MIPS in kids helmets before buying. The visor on the Bell Sidetrack is removable but not adjustable like higher mountain bike helmets such as the Troy Lee Designs A2. That said, it does the job of keeping little eyes and faces shaded. Because it is on the smaller side, it isn’t as obtrusive or goofy-looking as other larger visors. The Bell Sidetrack is pretty average as far as ventilation goes. It has a total of 15 vent holes and a decent airflow channel down the center of the helmet. We did a challenging singletrack ride in 80 degree plus weather and my son’s hair did get a little sweaty, but not overly so. Compared to a skate-style helmet, the Bell Sidetrack is infinitely more breathable. That said, when compared to the equally priced Giro Tremor, the Sidetrack’s holes are a bit smaller. 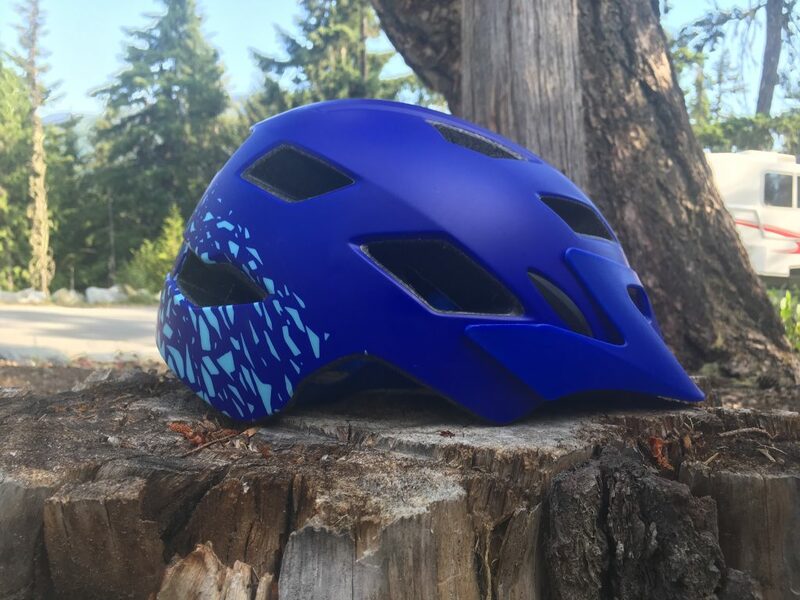 While the Bell Sidetrack has the profile and look of a higher-end mountain bike helmet, the fit system closer resembles a standard, cheap kids bike helmet. Indeed, this is where we found the helmet wanting. The buckle is cheap plastic (no magnetic buckle here) and the straps are pretty basic. Despite my sons head circumference being firmly in the middle of the size range for this helmet, we actually had trouble getting the chin strap tight enough and once fully tightened the strap interferes with buckling the helmet. There was lots of strap left over which we’ll end up cutting. The helmet has a dial fit system which does a good job of adjusting the size and snugging up the helmet. I’m pleased to report that even after plenty of tugging, the helmet does not have any for-aft or side to side movement. Unfortunately, the dial system isn’t quite as easy to use as other kids helmets in the same price range. The dial is small and lacks rubber or a knob, making it harder for small hands to operate. The Sidetrack comes in both a “Child” size and a “Youth” size. The child size is the smaller of the two and is adjustable to fit heads 47 to 52 cm in circumference. The youth size is larger and fits heads between 50 cm to 57 cm. If you’re not sure how to measure your child’s head, read our article on fitting kids bike helmets. 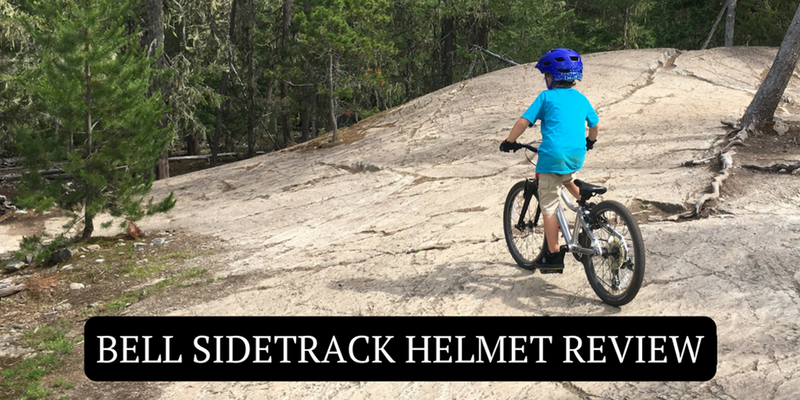 The Bell Sidetrack is one of only a few mountain-bike style kids specific helmets on the market. That said, there are a couple others–such as the Giro Tremor and the Kali Chakra that you might want to consider as well. 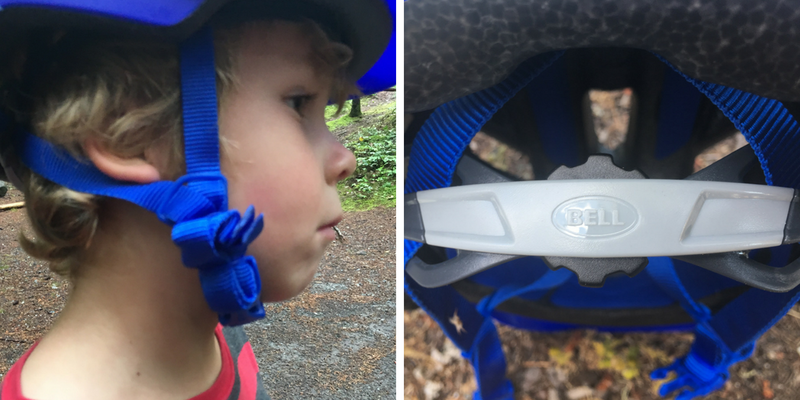 For kids wanting a mountain bike style helmet, and for parents looking for MIPS technology, the Bell Sidetrack is a good option. It looks cool, does a good job of staying snug, and comes in a variety of fun colors and designs. We only wish that Bell had invested a little more time and thought into the strap and retention system.